Too many coaches pair cheap-looking, baggy collared shirts with massive casual pants. Aside from the sloppiness and shabbiness of the look, it's depressing when you consider that the coaches apparently think they look like professionals. Sadly, I doubt many coaches will ever learn how to dress. So the next best thing is to just let them go fully casual. Let the coaches wear track suits with their school's branding on it. It will be better for everyone. You got a problem with the K-Mart outfits The Brands wear? That’s high fashion in the heartland. Unless you have them specially tailored, most dress shirts have measurements for neck and arm length. When you have to buy shirts that will fit a thick neck and broad shoulders, then the shirts will probably be baggy elsewhere. And while we're at it, who cares? 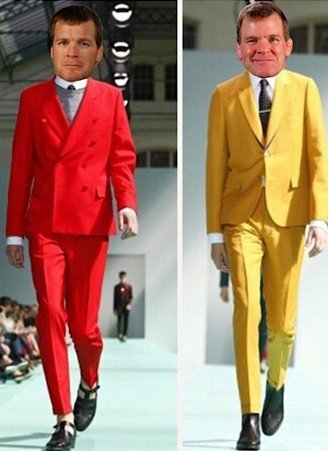 I wish one of these coaches would show some class and wear a nice, old fashioned pimp suit. That's absolutely true when you shop at Walmart. As for "not caring" I totally support that. That's why I propose track suits. The problem is the coaches who care, but do not know how to dress. Got a problem with Walmart now too? You're gonna alienate half the wrestling fans out there. We're talking wrestlers, not the NBA. 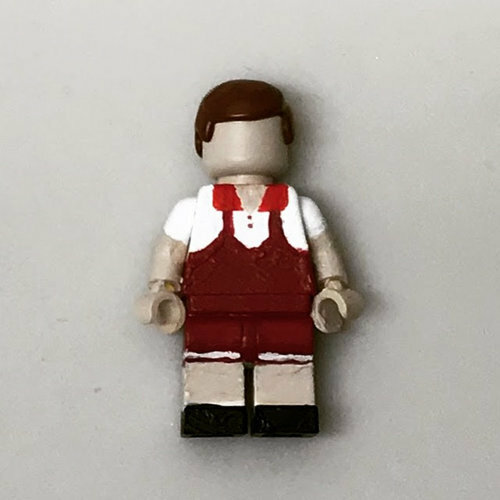 Are they making a Lego VisionQuest movie?? When a winning wrestler jumps in his coach's arms after the match, I feel bad for the cleaner. I would be entertained seeing some of them in 1970's era leisure suits from Sears Roebuck. Definitely hit or miss in the suit department. Gotta love those Haggar suits! They can wear track tops. My interpretation of the rule below would be that bottoms with a logo would be permitted but discouraged. Yep, based on that language, both an institutional-logoed warm-up top and bottom would be permitted.